Explore magic in the woods! Does that ring a bell? Yes, you are right! These are the lines from Robert Frost’s famous poem ‘Stopping by Woods on a Snowy Evening’. It is so true - the human minds have always been fascinated by the mysterious side of the woods. As the World Forestry Day approaches on March 21, we share with you a list of some of the sensational UNESCO World Heritage Sites in India, where you can celebrate this wonderful day by dating the nature! Nestled in the breathtaking Himalayan beauty of Himachal Pradesh, the Great Himalayan National Park Conservation Area is a haven for wildlife enthusiasts. You will forget to blink as you see a large and rare variety of medicinal plants, lichens, liverworts, mosses, mammals, birds, amphibians, reptiles, insects and endangered species. The picturesque flowing rivers, enticing steep valley-side landscapes and unbelievably high alpine peaks will transport you to a heavenly and undisturbed world. What to spot: Western tragopan, snow leopard, Himalayan tahr and deer and blue poppy plant. Best time to visit: March - June, September - November. (Avoid the monsoons during July and August). Kaziranga National Park, located on the southern bank of Brahmaputra river at the foot of the Mikir hills, is an incredible destination in Assam. With its tall, dense grasslands interspersed with open forests, interconnecting streams and delightful small lakes, this place is full of adventure. The wet and evergreen forests will stimulate your senses. Visit to this park is rewarding as it offers inexhaustible list of wildlife which include one-horned rhinoceroses, tigers, capped langur, elephants, panthers, bears, leopard, Ganges dolphin, and swamp deer. You will come across some amazing birds like black-necked stork, grey-headed fish eagle, Bengal florican, swamp partridge, green imperial pigeon, silver-breasted broadbill and Jerdon's bushchat. Python, common cobra and king cobra can also be spotted here. What to spot: One-horned rhinoceroses, capped langur, panther tigers, Bengal florican. A green wildlife oasis, Keoladeo National Park, situated in Rajasthan, is a perfect destination for birding. This bird paradise is home to more than 375 species of birds, and the superb grasslands and wetlands of this park are sure to take your breath away. A walk in this park and you will be astonished with the view of an awesome range of migratory and globally threatened species of birds which include waterfowl, large congregations of ducks, geese, coots, waders, Siberian Crane, Greater Spotted Eagle, Imperial Eagle, Sociable Lapwing, Imperial, White-tailed Darters, Black-necked Dalmatian Pelicans, Black Bittern, Greater Painted Snipe, and Dusky Eagle Owls. Far from the hustle and bustle of city life, lies the magnetic Manas Wildlife Sanctuary in the state of Assam. This hot spot has the captivating beauty of a wide range of forested hills, alluvial grasslands and tropical evergreen forests. The unparalleled charm, exquisite wilderness of the rare and endangered species, the enthralling vistas are truly a treat to the senses. 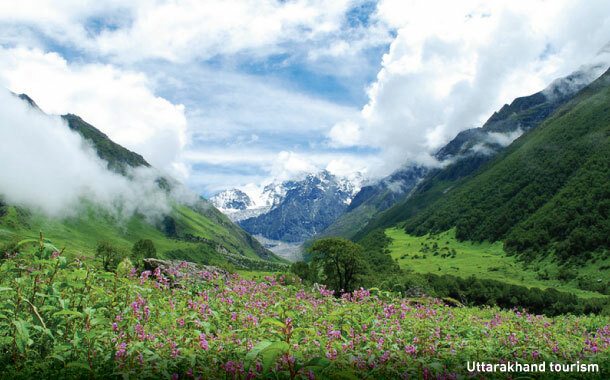 The enchanting Nanda Devi National Park and the hypnotizing Valley of Flowers National Park make the state of Uttarakhand a destination of timeless vistas. You will be spellbound by the beautiful high-altitude West Himalayan landscapes, mind-blowing wilderness and spectacular view of the beautiful meadows of alpine flowers. What to spot: Asiatic black bear, snow leopard, brown bear, blue sheep and red fox. For the seekers of wilderness, the sublime Sundarbans National Park, nestled at the mouth of Ganges and Brahmaputra rivers between India and Bangladesh, is a perfect destination. Wildlife safari and camping in the wild are quite popular here. This park is truly an abode of mangrove forests and countless flora and fauna population. These mangrove forests are popular for the largest population of tigers in the world. The tigers here are skilled in swimming and feed on aquatic animals. If you are lucky, then you may even capture the White Bengal tiger. The Western Ghats, favourite hotspot, for seekers of lush greenery and evergreen forests, is a beautiful mountain range which extends over Kerala, Tamil Nadu, Karnataka, Goa, Maharashtra and Gujarat. This place slowly reveals the magic with breathtaking views of delightful species of plants, mammals, birds, amphibian, reptile and fish.